Jared and I love chocolate milk, so chocolate syrup is a staple in our household. 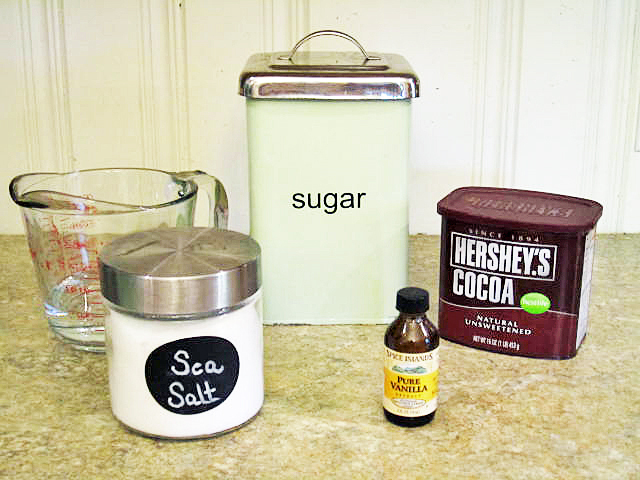 When I started looking at the ingredients of some of the processed stuff that we have bought in the past, I was shocked to find tons of extra junk in our Hershey's Syrup. I started making my own using this recipe, and let me tell you, this stuff is awesome!! It makes quite a bit, and the taste is so much richer than the store bought syrup. Try it out and let me know what you think! In a medium saucepan, whisk together sugar and cocoa powder until most of the lumps are gone. Add water and salt and cook over medium heat, stirring frequently. Bring to a boil and cook for a few minutes, until thickened, continuing to stir frequently. Remove from heat and let cool for 5 minutes, then add vanilla extract. Store in an air tight container in the fridge and enjoy within 2-4 weeks. 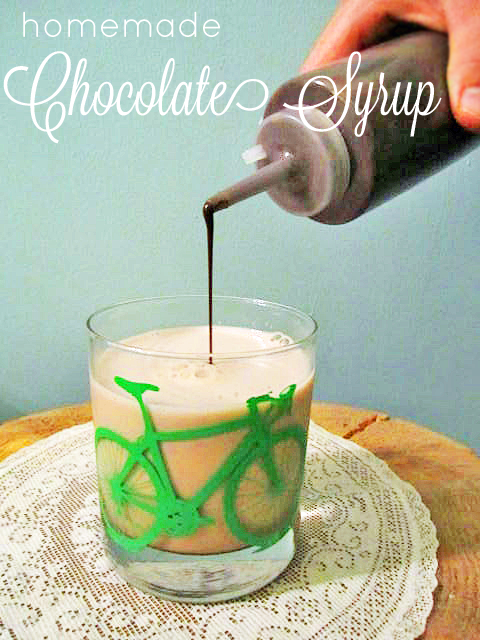 You could even use unbleached sugar cane for an even more organic chocolate syrup. 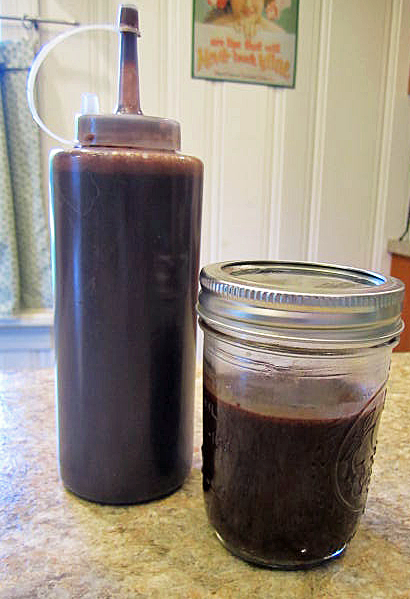 This recipe made enough to fill a whole squirt bottle and and almost a full half pint jar. Chocolate lovers get ready, because this syrup has a super intense chocolate flavor. You might find yourself sneaking to fridge for a spoonful! !